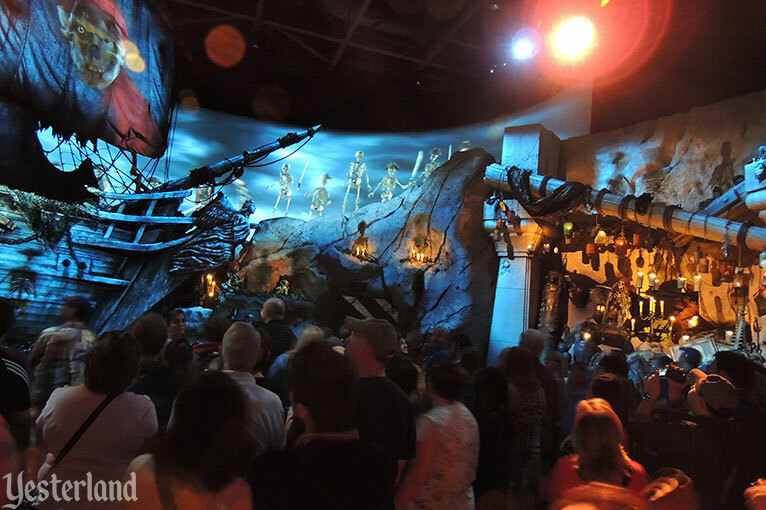 Guests love the Pirates of the Caribbean attractions—swashbuckling adventures where “dead men tell no tales”—at Disneyland, Magic Kingdom Park, Tokyo Disneyland, and Disneyland Paris. 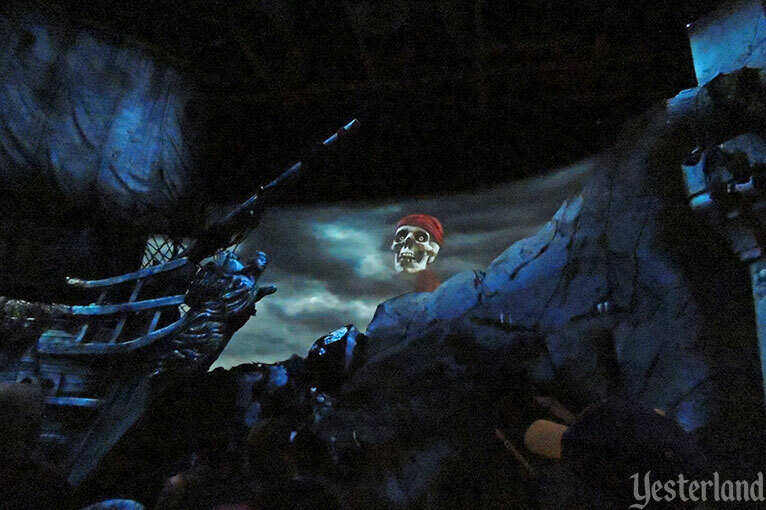 Yester Studios has its own state-of-the-art Pirates of the Caribbean attraction. It’s The Legend of Captain Jack Sparrow—starring Johnny Depp. What could be better than that? 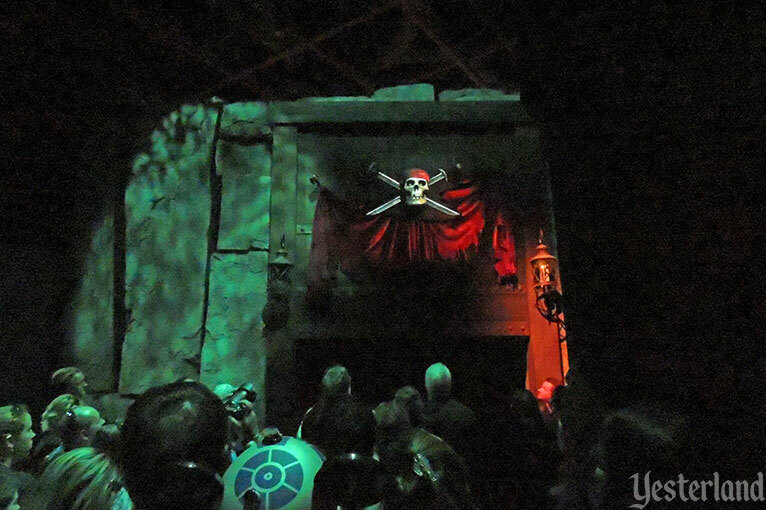 Don’t expect the attraction building to look like something out of Port Royale or Isla de Muerta. It’s a box with mural art. Remember, this park represents a movie studio, and this is Soundstage 4. Real movie studio soundstages aren’t particularly evocative or charming either. Step into the queue. 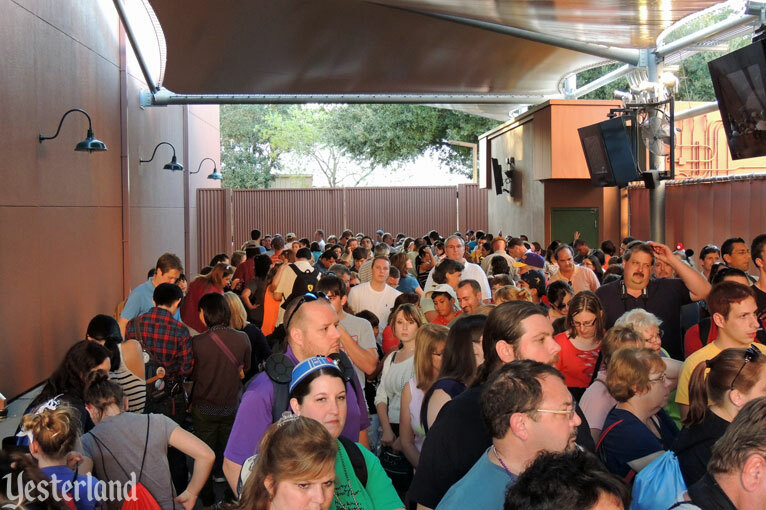 It was designed by Disney, the same company that designed the queues for Expedition Everest and the Indiana Jones Adventure. The atmosphere changes when you step inside. You’re no longer at a movie studio. 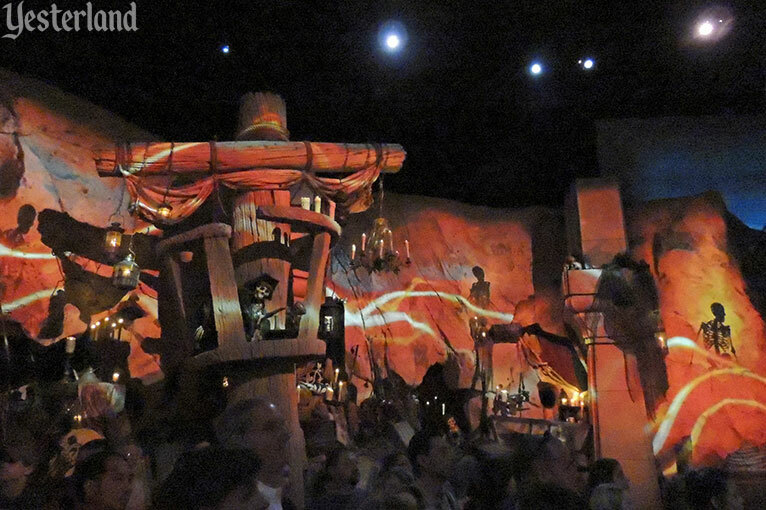 You’re now immersed in Captain Jack Sparrow’s Cave. There will be more audience interaction. You’re not just a theme park audience. You’ll all become members of the crew. The Talking Skull will be your narrator for the rest of this experience. Often the skull is floating in the sky, but other times, he’s on the sail. And sometimes he’s just a disembodied voice. Sophisticated projection mapping technology makes the entire cave the canvas for the show. Dimensional sets come alive with special effects. The cave is a dangerous place. You’re attacked by undead skeletons. The Kraken is unleashed! Each time, you’re told how to fight back. This is an attraction for guests who like to be loud. She starts singing… You seem to find yourself underwater, with devilish mermaids swimming around you. You again manage to fend them off. After making a theatrical entrance with the famous redhead from the classic Pirates of the Caribbean ride, Captain Jack Sparrow is on the deck of his ship. The actor’s portrayal of Johnny Depp’s Jack Sparrow is spot on. Maybe he’s the best Johnny Depp impersonator and his exact double. Or maybe he’s actually… nah, it couldn’t be… Johnny Depp, live and in person here in the park, show after show? Well, yes, it is Johnny Depp… but he’s not live and in person. He’s a high-definition video, perfectly executed to look incredibly lifelike. 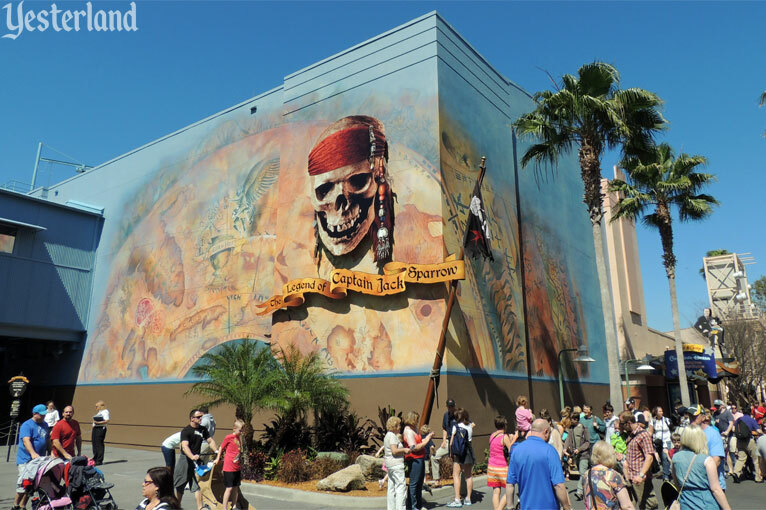 The official opening day for The Legend of Captain Jack Sparrow at Disney’s Hollywood Studios was December 6, 2012. The location was on Mickey Avenue between Walt Disney, One Man’s Dream and Toy Story Midway Mania (at Pixar Place). Previously, Soundstage 4 housed Journey into Narnia: Prince Caspian. Before that, it was Journey into Narnia: Creating The Lion, The Witch and The Wardrobe. 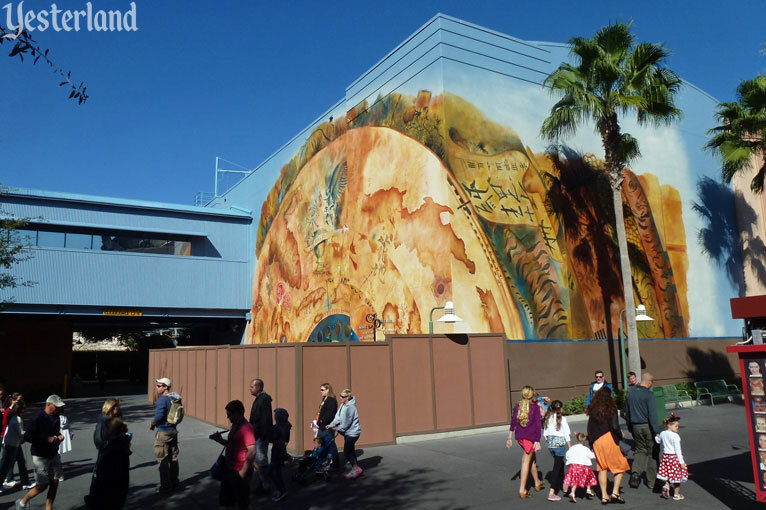 And before that it was used for various other walk-through attractions, including the original Backstage Studio Tour. 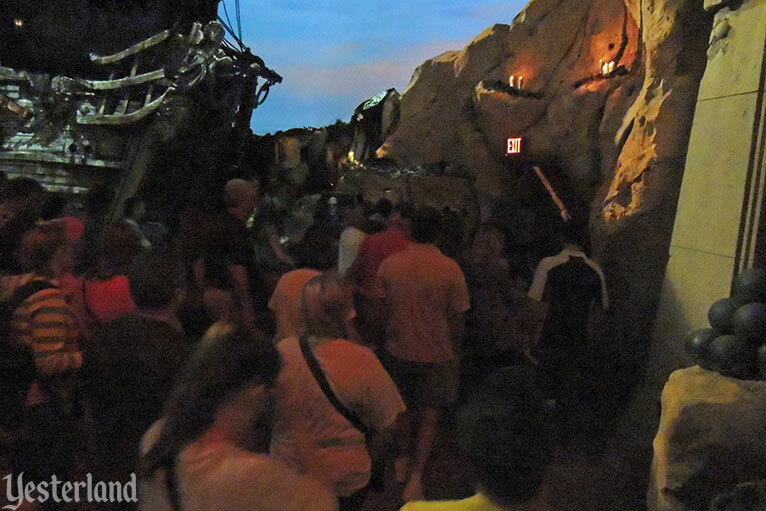 Unlike earlier attractions in the same space, there were no proudly displayed props from the movie. The “behind-the-scenes, making-of-the-movie” premise was gone. And while the two Narnia attractions were essentially just promotional displays for Disney movie releases, this one seemed to be an effort to create something that would be a real show in its own right and have a long run. 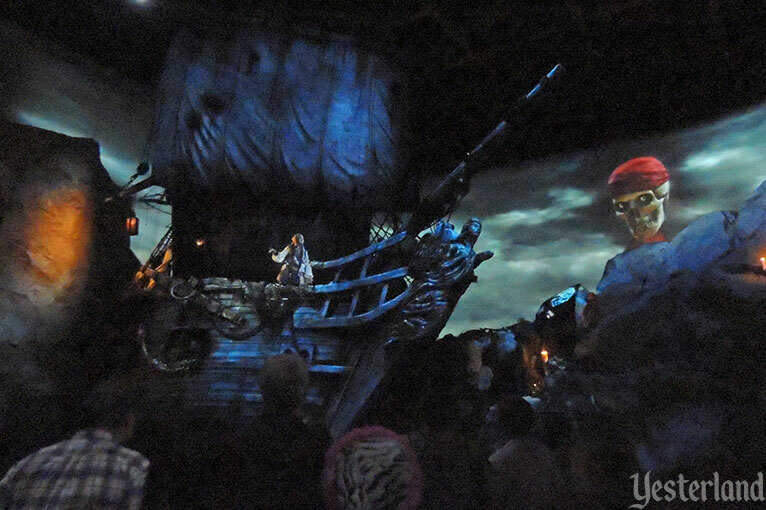 The Legend of Captain Jack Sparrow debuts this fall at Disney’s Hollywood Studios in Lake Buena Vista, Fla., giving Walt Disney World Resort guests a chance to become immersed in the world of the four “Pirates of the Caribbean” films. Aspiring pirates will experience the story of Jack Sparrow like never before to discover if they have what it takes to join Captain Jack’s crew. 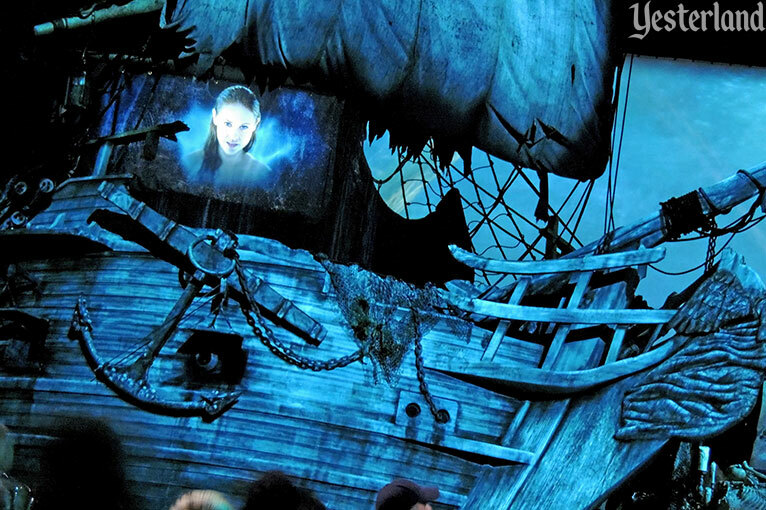 Compared to the two Narnia attractions, The Legend of Captain Jack Sparrow should have come across much more successfully as theme park entertainment. After all, it was much more ambitious. The emphasis was on audience participation, high-energy storytelling, the creative use of state-of-the-art digital projection mapping. 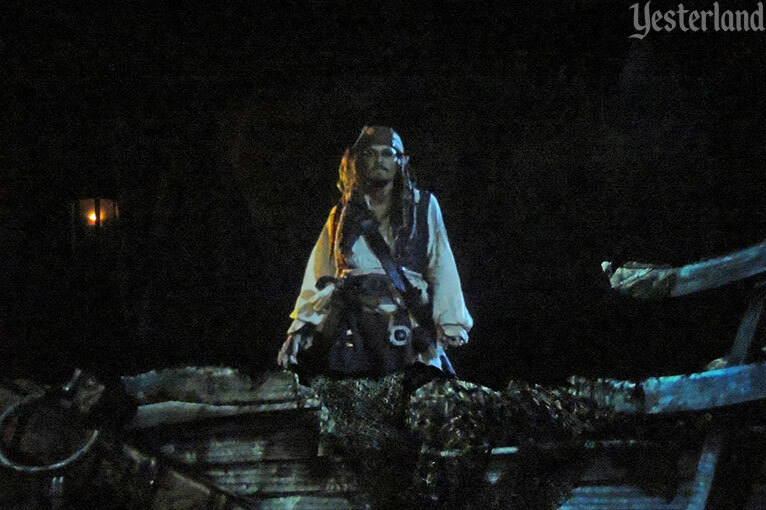 Johnny Depp gave a terrific new performance as Captain Jack Sparrow just for the attraction. At Robert Niles’ Theme Park Insider website, which allows readers to review attractions and rate them on a 1-to-10 scale, it only achieved a 4. 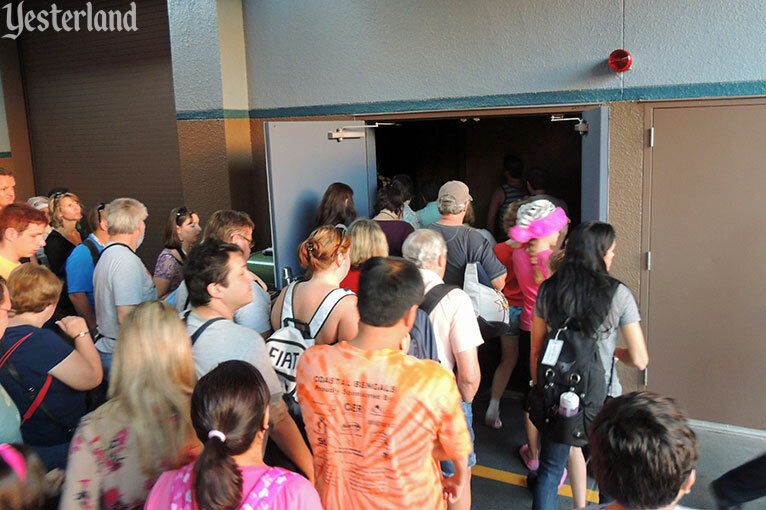 At Walt Disney World, only Stitch’s Great Escape ranked lower, with a rating of 3.